4 Most Cliche Tattoos and How to Keep Them Unique! Tattoos have a wide range of meanings for different people. Many people choose to get tattoos words that are meaningful to them. Others opt for a symbol or image that has a deeper meaning or is special to them in some way. However, some people simply choose to get a tattoo of an image that they think is particularly beautiful. Therefore, tattoos do not have to have a profound meaning. Getting a tattoo permanently inked onto your skin is a big decision, regardless of whether your tattoo has meaning or is just beautiful to you. You want to make sure that the image, word, or symbol you choose to tattoo onto your skin is something you will always appreciate and won’t eventually regret. Another important challenge is finding inspiration for a tattoo that you really love. Tattoos are becoming more popular. 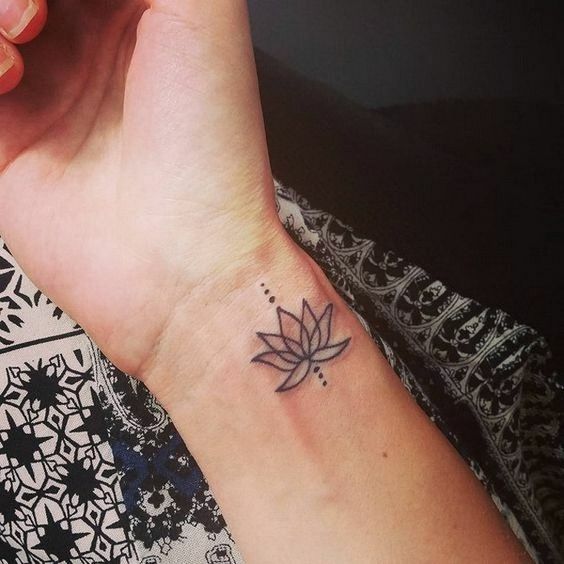 So, it can be extremely difficult to find a tattoo design that is unique and fits your needs and preferences. 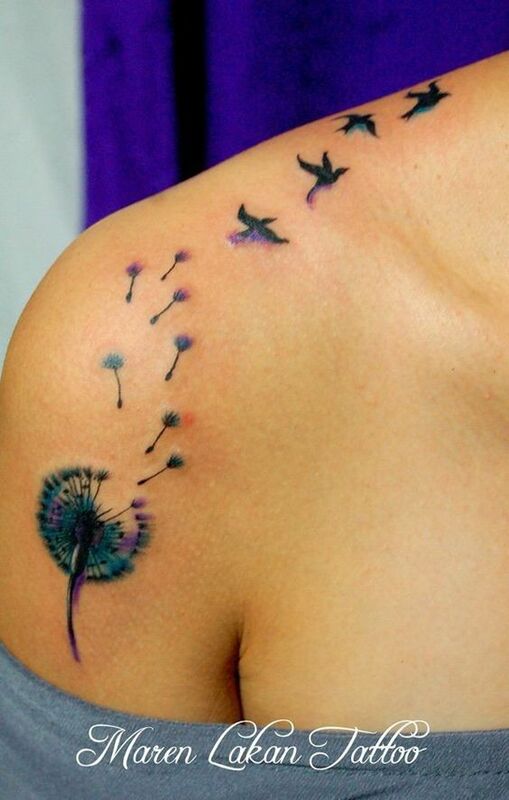 However, plenty of beautiful and meaningful tattoo designs that are not overly used do exist. All you need to find the perfect design for you is a bit of inspiration. Floral tattoos are very popular among women. However, floral tattoos are not necessarily over done. This is because there are so many different types of possible flower tattoo designs. 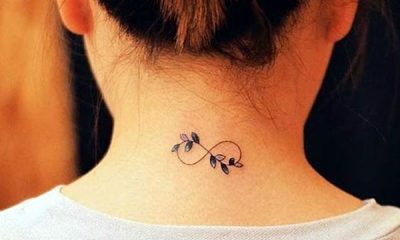 For example, the tattoo above is a small and unobtrusive floral design. It is simple, minimalistic, and unique in its size and location behind the ear. Some of the most beautiful and meaningful tattoos combine both words and images. 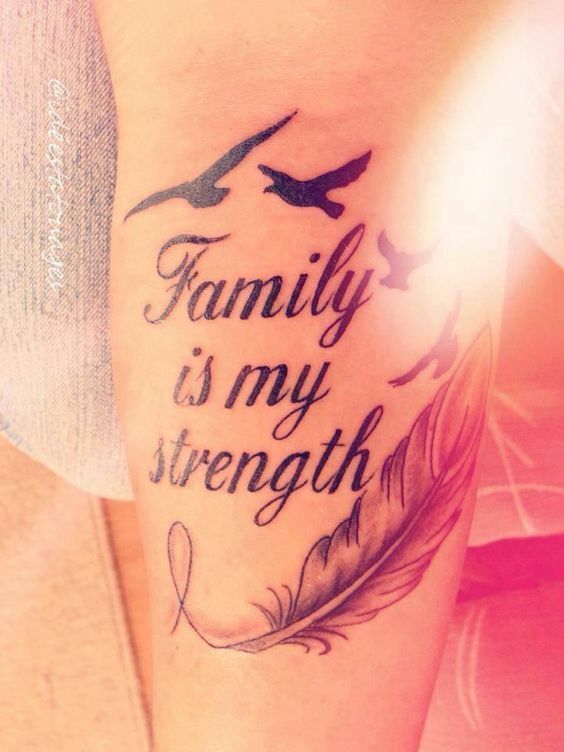 For example, this tattoo pairs a meaningful quote about the value of family with bird and feather symbols. This combination creates a unique design that is both profound and pretty. While many people choose to get tattoos of words or images, those are not the only options. In fact, symbols like the Roman numerals in the tattoo above are also a meaningful tattoo design choice. 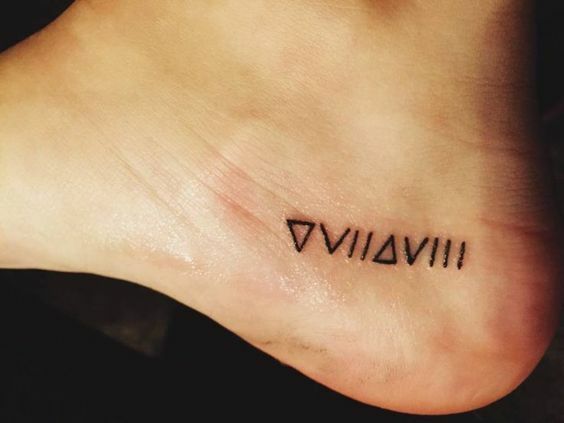 Roman numerals or other similar symbols in tattoos can convey a date or other set of numbers that is somehow meaningful or significant to the owner. Memorial tattoos are some of the most meaningful tattoos. 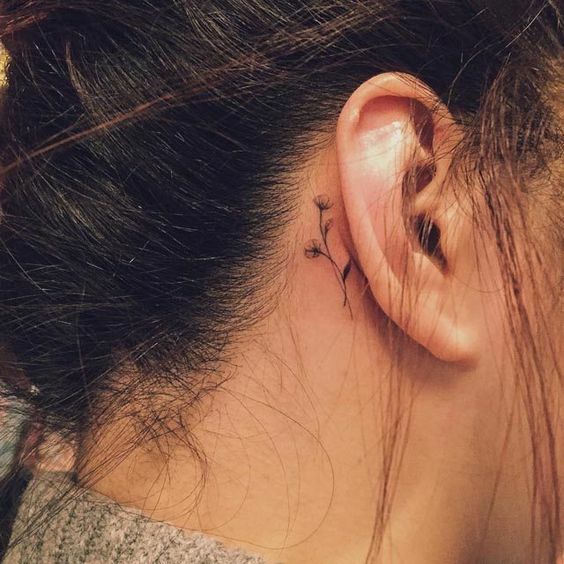 These tattoos are generally designed to commemorate the life of a loved one who has passed away. 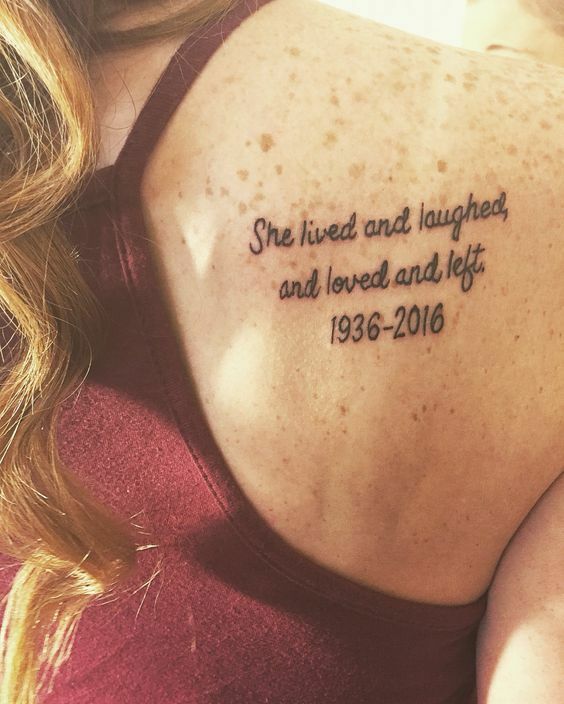 Many women find comfort in memorial tattoos for their loved ones. 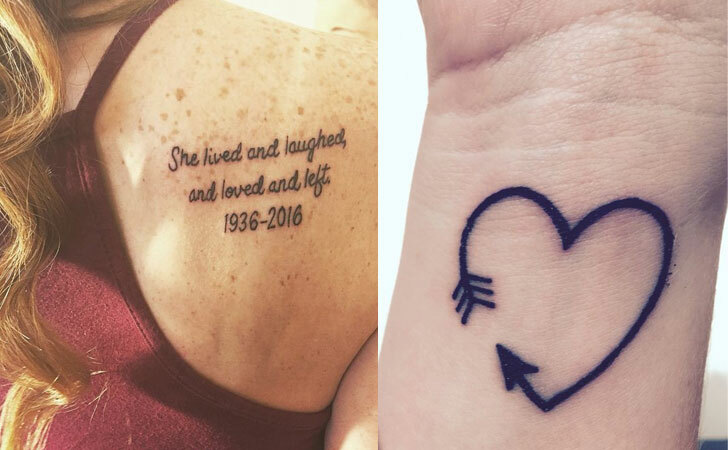 These tattoos help them feel as though their late friend or family member is still always with them in some way. If you want to ensure that you always remember the values that are important to you in life, get them tattooed onto your skin. 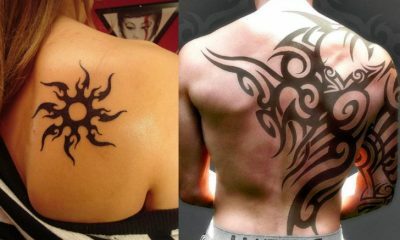 For example, the tattoo above includes both words and symbols that create a deeper meaning for the owner of the tattoo. 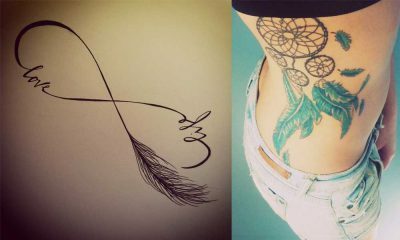 Tattoos like these often bring women emotional comfort and constantly remind them of the most significant things in life. 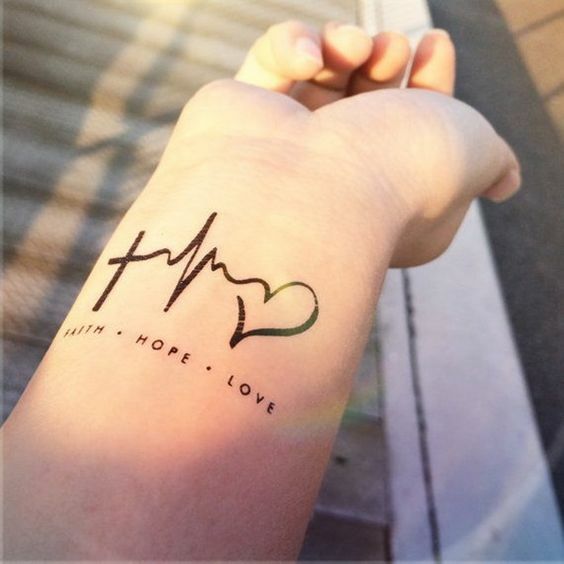 Because they are a universal symbol of love, hope, and happiness, hearts are popular tattoo designs for women. 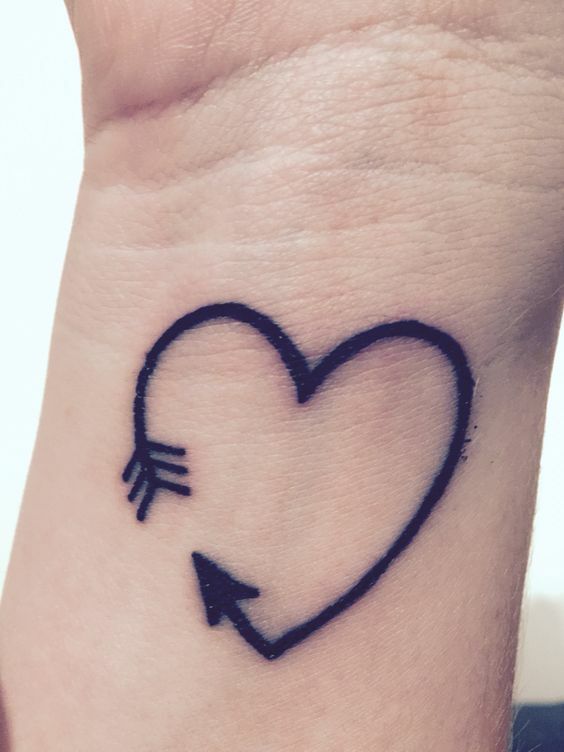 If you want a heart tattoo design, choose a design with a unique twist like the one shown above. What woman hasn’t spent her life wishing she was an angel or a fairy? 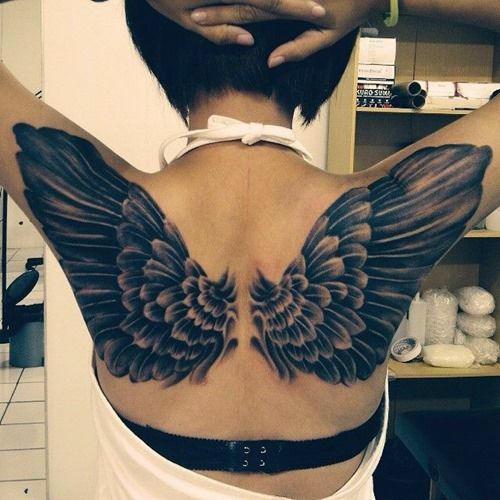 A wing tattoo allows you to finally achieve the status of a gorgeous and magical mythical creature. These tattoos are unique and remind you of your unique value at all times. 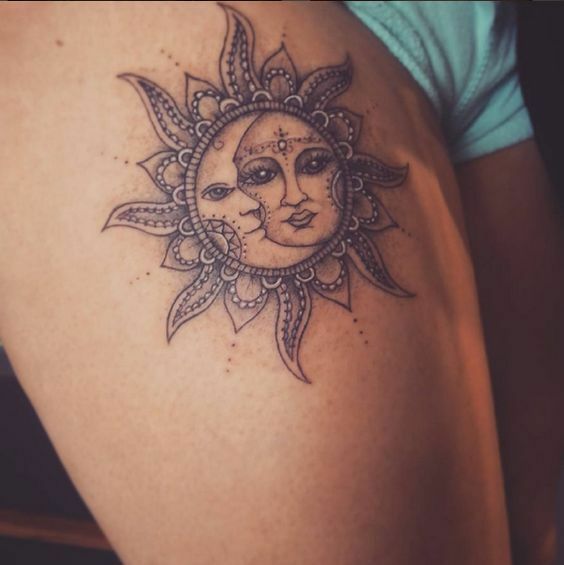 Sun and moon tattoos are very popular. They are beautiful and connect deeply with nature. If you want to get a sun and moon tattoo design, you have plenty of choices. 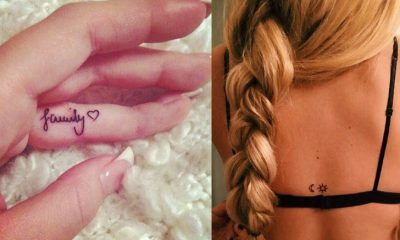 These tattoos can be complex or simple and still be gorgeous and meaningful. Colorful tattoos are gorgeous. However, be careful before getting a tattoo in color. Ensure that the location and artist you use have a good reputation and use high-quality materials. These precautions are important in order to make sure that your tattoo stays vibrant for as long as possible. If you decide to get a tattoo that includes words, take time to determine which font you prefer. 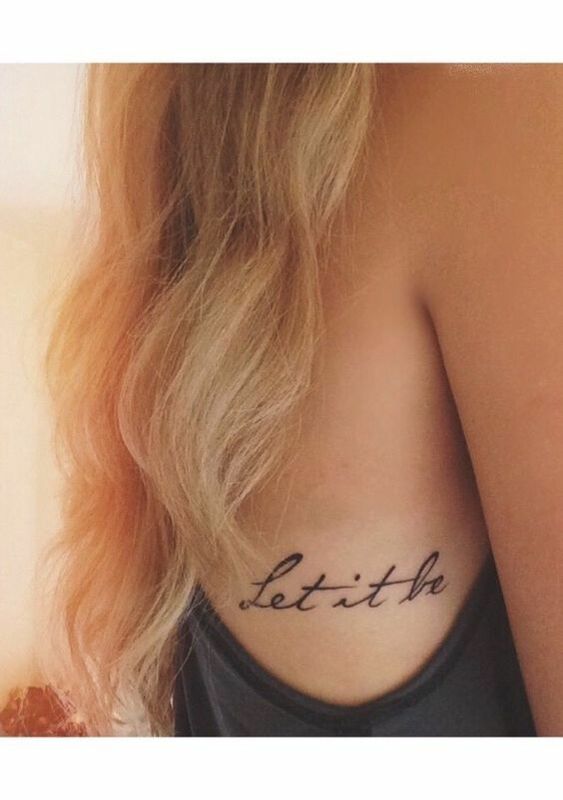 The font of the words in your tattoo is an important choice. It makes an extremely significant difference in how the finished tattoo looks on your skin. The lotus flower is a beautiful flower. However, it is also a meaningful symbol that is spiritually significant. Even when faced with challenges and difficult situations, lotuses bloom beautifully. Traditionally, lotus flowers symbolize purity and harmony.